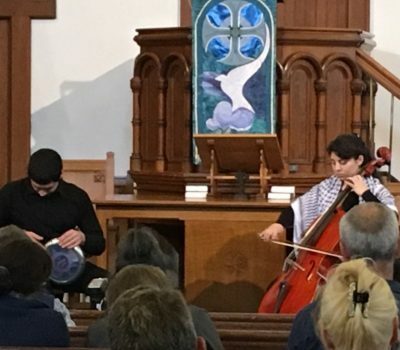 Last June 2018, Palmusic UK, with the generous support of Abergavenny and District PSC, West Surrey PSC, Scottish Palestinian Forum, Olive Tree, and Oban Concern for Palestine, were proud to bring our beneficiaries in a small UK tour. 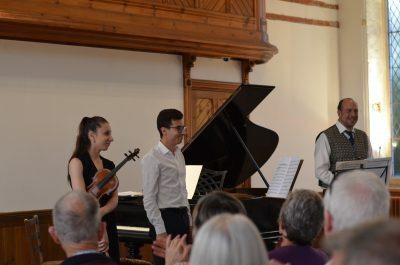 Lourdina Baboun, young violinist at the Royal Birmingham Conservatoire, was joined by Wissam Boustany and Iyad Sughayer in two wonderful nights in Abergavenny and Guildford. 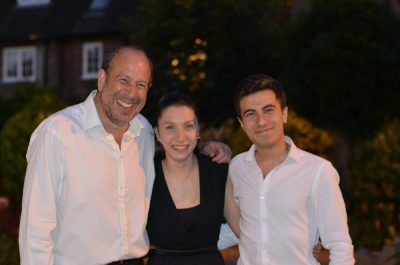 We are delighted to announce that the two concerts have raised around £3,000 in support of Lourdina’s scholarship. Although we still need to raise £4,000 to enable her covering her next year’s expenses, thanks to your support we are half way to it. 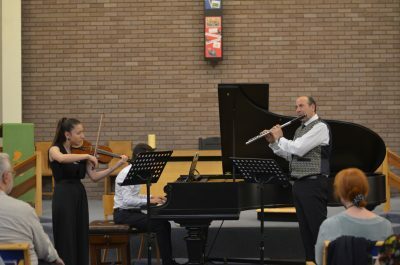 A week later, our two siblings from the Galilee Quartet, Omar and Tibah Saad, have toured their home country, Scotland. They have brought their music to Oban, Edinburgh and Inverurie. The tour has had a great success and thanks to our supporters managed to raise for Omar and Tibah around £2,000. 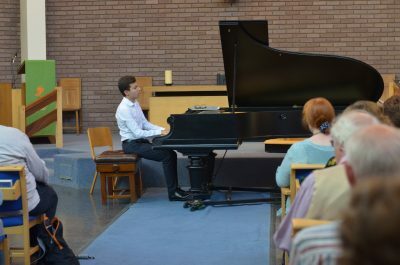 We would like to thank all those who attended and enjoyed our concerts and supported our talented musicians. Your very warm welcome and passionate support inspire us to continue nurturing young Palestinians such as Omar, Tibah and Lourdina. We would also like to extend a special appreciation to Abergavenny and District PSC, West Surrey PSC, Scottish Palestinian Forum, Olive Tree, and Oban Concern for Palestine, without which this tour would not have happened. 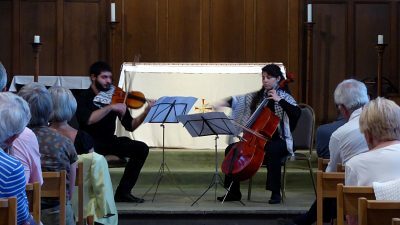 If you were not able to attend the concerts, or you wish to support our scholarship fund, you can still contribute by donating through our website or by sending us a cheque at Palmusic UK, 1 Gough Square, London EC4A 3DE. Your help can offer a life-changing opportunity to those talented young students.